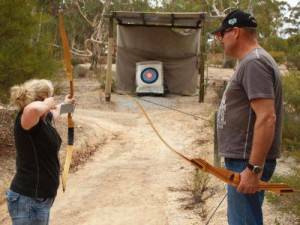 All basic archery equipment is provided, practice bays available, tuition by instructors, undercover targets, fairly graded trail. 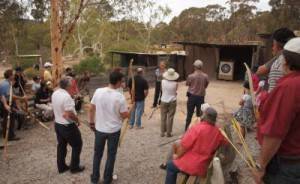 After Safety talk and instructions Archers enter the Trail, shoot 3 arrows at Target one score & retrieve arrows then proceed to Target 2 and so on until target 9 is reached. 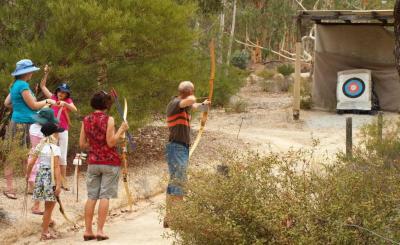 Surrounded by natural bush, undulating graded trail, uphill climb, downhill descent, smaller targets at longer distance. The game is played the same as the Beginners Trail. Archers shoot 3 arrows at each each Target until Target 15. 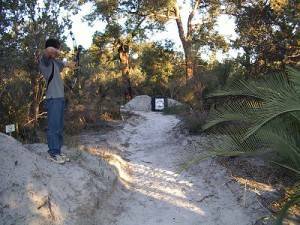 Surrounded by natural bush, undulating graded trail, spread out over a large area, more challenging positions. The same rules except there are 18 Targets to complete. Marked archery shooting range from 10m to 90m. 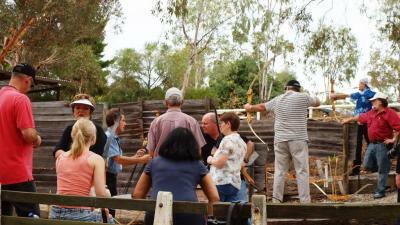 Archers shoot from chosen distance. A COMPOUND BOW on the Intermediate or Advanced Trails or the Shooting Range is an extra $5.00. COMPOUND BOWS are not permitted on the Beginner’s Trail. 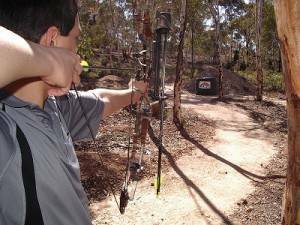 Note: Max bow draw weight for Intermediate Trail is 50lb. Advanced Trail & Target Lane is 60lb. Own equipment is not permitted on the Beginners Trail.